In recent weeks CNS has been given copies of complaints and correspondencesent to government officials, including the former premier, regarding the CIO. the complaints make myriad allegations about her approach to the job and the management of the department. There were also unsubstantiated allegations regarding more specific and serious infractions regarding status grants and other issues relating to the department. (CNS): A 56-year-old man was killed on Tuesday after he fell from a ladder at a house in Prospect while he was hanging Christmas lights. A spokesperson from the RCIPS confirmed that police are looking into the circumstances relating to the incident, which happened at Omega Bay, Prospect at around 2pm Tuesday afternoon. The police said they had received the critical incident report that the man fell while hanging the decorative lights but the matter is still under investigation. Police also confirmed that the man was pronounced dead by a doctor at the scene where he fell. (CNS) Updated with editor's note: A freedom of information request to the Electricity Regulatory Authority (ERA) has revealed that more than 640 CUC customers have been cut off by the power supplier, mostly as a result of non-payment of bills. Many of those cut off are families who have been living without electricity for 90 days or more. The request, which was submitted by a CNS reader, asked for the details of residential customers who had been cut off because their bills were not paid. The statistics show hundreds of people, which will include children, across GrandCayman have been without a power supply for more than three months, confirming fears that the number of people living in real poverty is increasingly significant. The ERA said it was not able to break down all the statistics because CUC tracks connections and disconnections but not all of the details as a result some non-voluntary disconnections may also be due to safety reasons and not always because customers failed to pay their bills. The ERA also explained that CUC did not indicate whether these more long term cut offs were commercial or domestic. Although some businesses may indeed be involuntarily disconnected, the situation would not be for extended periods, as any commercial enterprise without power would not last for very long. It is fair to assume that the disconnections are predominantly residential. According to numerous other sources and significant anecdotal reports to CNS it is clear that the number of people not able to afford to pay power bills is reaching unprecedented numbers. CUC statistics show that as at November 24, there were 1,418 consumers both commercial and residential disconnected and had been for a period greater than 90 days. Of those 777 were voluntary disconnections and 641 non-voluntary disconnections ie customer cut off by CUC for non-payment, safety or other reasons. The largest number of non voluntary disconnections are in the capital, where 306 premises have been cut off for more than three months, as at 24 November. Another 119 customers in Bodden Town were disconnected by CUC and some 117 in West Bay. Meanwhile, another 29 people were cut off in North Side and a further 23 in East End. A spokesperson for the ERA explained that the missing 47 are accounts that have been written off as CUC believes they are abandoned premises. In addition, the ERA was able to state that 273 residential consumers had been disconnected for a period of less than 90 days, but these figures are constantly changing and any number could have been reconnected to the supply while additional households could have been cut off. However, on 24 November there were 51 households in Bodden Town, six in East End, 50 in George Town, Seven in North Side and 59 in West Bay without power that had been disconnected within the last 90 days. CUC recently confirmed to CNS that the firm is now cutting off power suppy without warning to customers who fail to pay their bills within 30 days. CNS Note: The ERA has asked CNS to clarify that these figures are not necessarily representative of the numbers of people living without power. The ERA states that the article fails to convey the fact that most of the disconnections may actually be caused by the transient nature of Grand Cayman i.e. people who choose not to pay their bill when they leave the island or simply due to vacant apartments/homes/commercial properties. However given the information from other sources including the department of children and family services, the police, MLAs based on representations from constituents, as well as anecdotal evidence, the figure probably does represent genuine disconnections of households that cannot afford to pay their bills. Transient non-bill payments would represent only one or two months bills and those properties would be reconnected when a new tenant moves through and less likely to be represented in the three months plus category. As a result CNS stands by the article based on the ERA figures. (CNS): A 34-year-old man from George Town who was arrested at the weekend has now been charged with robbery. The man is accused of a street mugging that took place in the early hours of Saturday 22 November on the waterfront in George Town. A couple walking along the harbour front were threatened by a man with a knife and ordered back to their parked car, where they were robbed of personal belongings that were in the vehicle. A spokesperson for the RCIPS said the charged man will appear in court on Thursday. (CNS): Lois Hatcher, who has been diving for more than 30 years, is leading the group of volunteer divers who are still working hard to restore the large section of reef damaged by a cruise ship anchor in September, as reported by CNS. Over the last few months the divers have been sifting through the rubble and dead coral and salvaging pieces that are still alive in an effort to reattach the living coral in the area destroyed by the anchor in the George Town harbour. 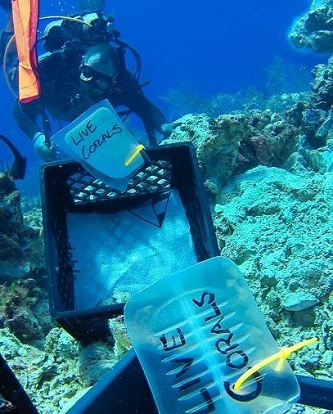 Using proven techniques that she has learned from some of the world’s leading experts in coral restoration, Hatcher and the team involved in the Magic Reef Restoration have already “out planted”, or reattached, about 15 pieces of live coral. “If the pieces still have a little keyhole of light, the coral is still alive,” said Hatcher, who dives five days a week as the Photo Pro for Ocean Frontiers but spends her days off at the recovery site. “We are trying to focus on the slow-growing corals and attaching them to open areas in the surrounding reef to give them a chance to keep growing. We are seeing signs of life and this gives us hope. They are looking really, really good,” she told Adela Gonzales in an interview for the local dive press. Ken Nedimyer, one of the experts that Hatcher learned from, said the restoration work was moving in the right direction. “Some people look at it as too little too late, but the little bit of progress being made is better than inaction. Like me, Lois has spent a lot of time underwater and has come to appreciate all the little creatures there, both big and small. She has seen first-hand the dramatic decline of coral reefs in the Caribbean, so she has sought out ways to help,” he said. The project coordinator, Keith Sahm of Sunset House, said that Hatcher knows her stuff when it comes to coral restoration. But they both say the biggest challenge to the potential year-long project is keeping up enthusiasm among the volunteer divers, whose numbers are dwindling as business picks up in advance of season and there is clearly a need to empower recreational divers to help restore the reefs. Sean Kingscote, a regular volunteer diver, said that until the reef is repaired he will be out as often as he can to help. And volunteers are already reaping the rewards of their work by witnessing life return to the damaged reef. As well as the almost 12,000 sqft of crushed reef, which was hit by a cruise ship anchor after it was directed to the wrong location and dropped anchor directly on the corals, there are wider problems for Cayman’s marine environment. As a result, Ocean Frontiers co-founder Steve Broadbelt plans to establish a coral nursery at the resort in East End. (CNS): Friends of Film, Cayman has raised concerns that imposters are attempting to con people out of cash by posing as members of the non-profit suport group, which was created to assist local and young film makers starting out in the industry. Officials from the organisation said there had been another instance of a door-to-door scam artist requesting money on behalf of Friends of Film. However, it does not conduct door-to-door donation campaigns for cash or equipment and the public is urged to contact the police if they have been a victim of this scam or approached by people soliciting for FoF. She explained that FOF is a non-profit group comprised of working film professionals, including cinematographers, directors, producers, editors, writers, actors, makeup artists, and new filmmakers just starting out in the film and television production business. "Members gather a few times a year to share creative ideas, filming techniques, and local industry production news. We facilitate these casual social gatherings solely for filmmakers to network and collaborate and no money is ever charged or exchanged," she said. (CNS): Katrina Jurn, has been named conservationist of the year in the National Trustsannual awards designed to celebrate those who are doing their best to preserve the country’s environment and natural resources which are currently under attack from all directions. 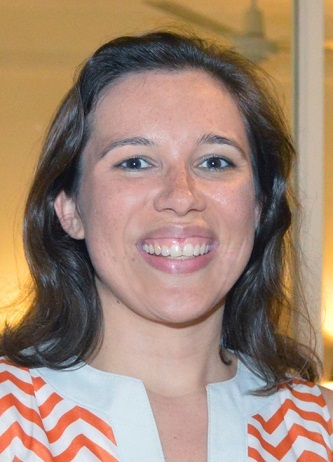 Jurn who has led the charge on a number of environmental campaigns is also a founding member of Sustainable Cayman an organisation created to raise awareness about the myriad threats to Cayman’s natural environment. Alongside Jurn, Cody Panton, currently studying Marine Biology at the University of Tampa, bagged the Lois Blumenthal Youth Conservationist Award. Meanwhile, the Heritage Preservation Award, sponsored by Cayman National Bank, went to the Swanky Kitchen Band. Compass Point Dive Resort also won the Tourism Conservation Award and Divetech Cayman Islands earned the Corporate Conservation Award. The National Trust also recognised donors to its Land Reserve Fund, which is spearheaded by Janet Walker. The presentations were hosted by the governor, who recently accented to the latest amendments tothe planning law which many conservations have raised significant concerns about. (CNS): Women are being encouraged to take part in the islands first ever all female watersports event organised by Waterman Surf Company in association with the Rock International Open. Ride Like a Girl aims to give participants a taste of watersports which can appear inaccessible to some, for either financial or fitness reasons, and bring together a new community of women who want to have a good time at the beach, enjoy the outdoors and motivate each other, organisers said in a release. The event is due to take place on Sunday 14 December at Barkers National Park and Public beach and will include kitesurfing, stand up paddle boarding, wakesurfing as well as beach yoga, beach games and a closing BBQ. Registration is $60 and includes and event tee shirt and a donation to the Cayman Islands Crisis Centre. 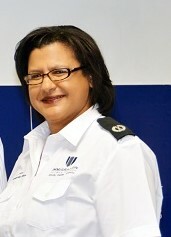 “You can, you should, and if you’re brave, enough to start, you will” is one of the Cayman Islands Crisis Centre’s mottos, the organiser stated, as they urged women in Cayamn to join in and find out just how strong and capable they really are. Maya Lewis, Amy Strzalko and Kiristen Cousins who are all team riders for Waterman Cayman Surf Company and sponsored by Best Kiteboarding, Slingshot Kiteboarding and Coreban Stand Up Paddle boarding respectively are hosting the event to share their passion while raising funds for a good cause. “When I started Kite surfing I was in the minority as a female,” said Lewis. “Most of the people I was out on the water with were guys. Since then more and more girls have joined me but there’s still a common misconception out there that you have to be super strong and that’s just not true. Girls are quite often faster than boys at learning,” she added. Over 20 women already signed up and both local companies and international brands have jumped at the opportunity to sponsor and partner with this groundbreaking event. Sponsorship packages are still available and all funds raised will be donated to the Crisis Centre. (CiffaYouth): The Security Centre Youth Flag Football League is about to commence its seventh season. The league is for boy and girls ages 7 through 17 and no prior experience in playing the sport is necessary. Games are played on Saturday afternoons at the Camana Bay Sports field and online registration is now open (www.ciffayouth.com) with the 2015 season official kick off on Saturday 17 January. The league is organized by the Cayman Islands Flag Football Association (CIFFA) a non-profit organization dedicated to expanding the sport of flag football in the Cayman Islands. The league offers an opportunity for children to get active in a fun and safe atmosphere. Spaces are limited so to avoid disappointment parents interested in registering their kids should do so right away. The league is also looking for volunteers so anyone interested in assisting the league should complete the volunteer form on the website. The league is made possible as a result of the generosity of its corporate sponsors. Players are only required to pay a nominal registration fee of $ 15.00. (CNS): A friendly football tournament looks like it has become a fixture of the International Men’s Day (IMD) activities. Held on Saturday 22 November around 100 players took part in the matches designed to encourage young boys and men to engage in positive male bonding while engaging in healthy activity. First place winners Team United (16 years and up) sponsored by the Office of Complaints Commissioner and Team YFP (13 to 15 years) sponsored by Cayman National Bank won the $500 cash prize for their respective age groups. Each year, the Cayman Islands joins other countries around the world who celebrate the achievements of men and boys each year. Led by the Department of Counselling Services’ Family Resource Centre (FRC), this is the fourth year that the tournament has formed a part of the International Men’s Day programme. Organizers expressed special thanks to event sponsors: Davenport Development, Island Taste, Estella Scott-Roberts Foundation, Cayman National, Office of the Complaints Commissioner and Dart.